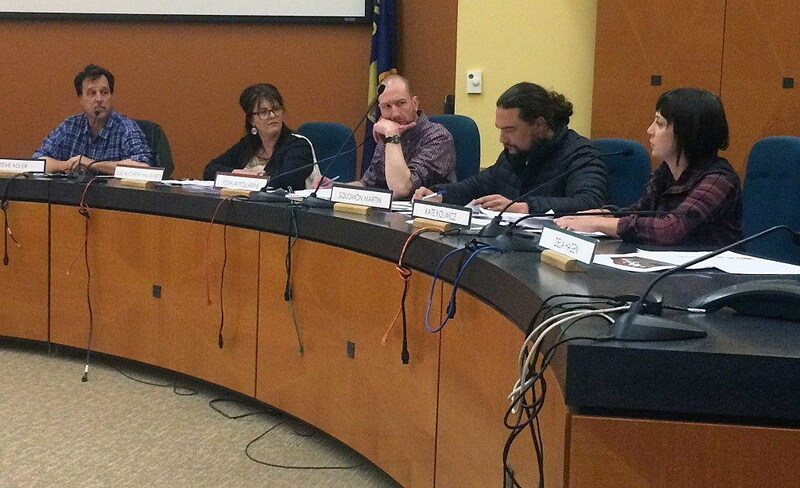 Another member of the Historic Preservation Commission recused herself from voting on a demolition permit for the Mercantile on Thursday night following allegations that she and three other commission members have demonstrated bias. The recusal and questions surrounding the commission’s objectivity kicked off a contentious meeting that saw terse exchanges and a wide range of conflicting presentations. Members of the development team had flown in from around the country expecting the commission to decide the matter, though it failed to do so at the end of the night. The commission postponed the decision for another month. The evening saw conflicting opinions from the same engineering firm that’s now lobbying to save the building, and a woman who compared the team of Montana developers to Islamic State terrorists out to destroy world heritage sites. Others questioned why the city was working to redevelop the Riverfront Triangle and Southgate Mall while sitting quietly on the sidelines regarding the Mercantile’s future. But not everyone agreed, including John Coffee, whose family owns the Hammond Arcade Building on the corner of Higgins Avenue and Front Street. Coffee said the story of the Mercantile Co. is larger than the building itself. He added that downtown has suffered in the years that the Mercantile has sat empty, including several of his tenants. Throughout the evening, questions continued to linger regarding the availability of new market tax credits and cap rates. Questions also surrounded the preservation commission itself. The concerns named commission members Mike Monsos, Steve Adler, Kate Kolwicz and Cheryl Cote. Only Cote elected to recuse herself from the process. The others chose to continue on, even if conflicted, though Adler abstained when it came to voting on whether to stay a decision for another month. Kolwicz, who has posted numerous times to Facebook supporting a petition to block the demolition permit, said she relies on social media for additional information and declined to recuse herself form the process. Monsos, who also has been active on Facebook, chose to stay involved as well. But some suggest such concerns aren’t relevant to the decision facing the commission. It’s members are charged with considering the permit as submitted or finding other feasible alternatives, which the property owners say no longer exist. “If your decision is to still not approve the permit, I would appreciate you not delaying it any longer,” said building owner JP Williamson, who’d flown in from North Carolina to attend the hearing. Given concerns of bias, Adler asked Williamson if it was possible to set aside the conflict and start over. Williamson said that was up to the commission and what action it chose to take regarding fairness. The commission is expected to take up the issue again next month. If it fails to reach a decision, the permit will be automatically issued on June 7. However, developers have said that changing interest rates, a fluctuating market and other financial matters could jeopardize the $30 million project if the city continues to delay the proceedings.